A tool is only useful if you have it when you need it. 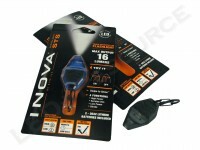 With INOVA’s new Microlight STS it is possible for anyone to have a full featured multi-mode flashlight at their fingertips, whether it is attached to their key chain, belt loop, zipper pull, purse, or backpack straps. Featuring the new “Swipe To Shine” technology, the Microlight STS allows easy activation and mode selection with a mere swipe of the thumb. Weight with Batteries: 0.49 oz. 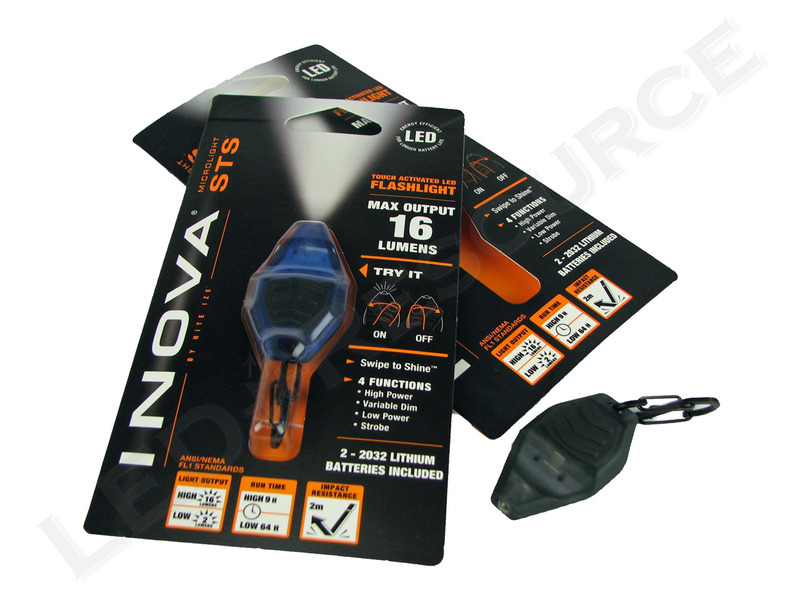 MSRP for the INOVA Microlight STS is $11.99 and it is available in four translucent body colors: Smoke, Olive, Orange, and Bllue. 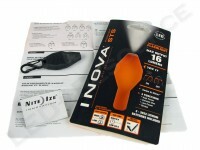 The Microlight STS comes in a cardboard and plastic blister pack which includes the following: Microlight STS, 2 x 2032 lithium batteries (installed), user’s manual and a micro-sized brochure of Nite Ize products. Powered by two 2032 lithium batteries, the Microlight STS is able to produce greater output and runtime than most miniature flashlights. 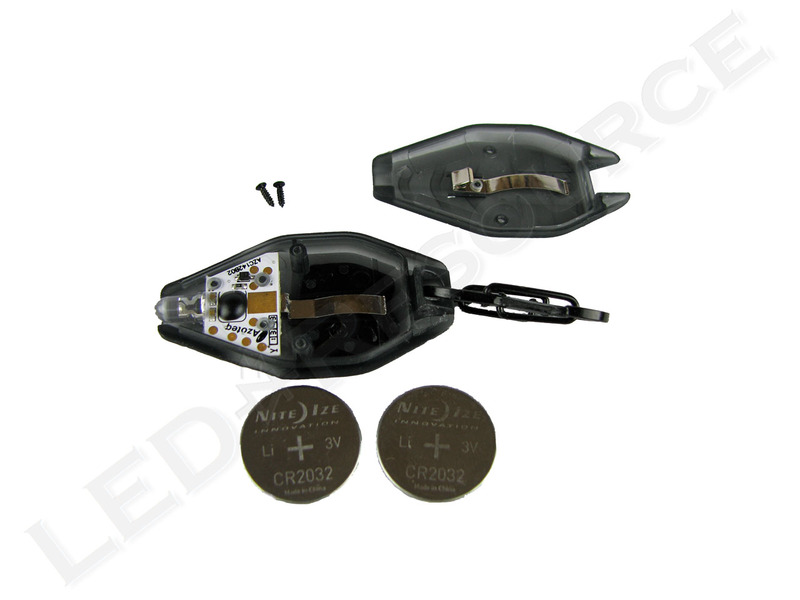 The batteries are user replaceable and can be accessed by removing the two cover screws with a very small Phillips screwdriver. A small flat head screwdriver can then be inserted in a slot near the S-biner to pry the cover off. Compact and conveniently sized, the Microlight STS takes up no more space than some loose change, yet is surprisingly powerful. 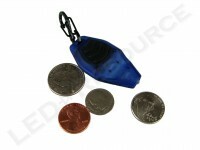 The Microlight STS uses a 5mm round LED with no reflector. The LED is recessed into the light body to provide protection. 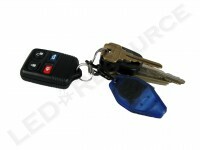 Made from plastic, the Microlight STS casing is water and shock-resistant and is contoured to fit comfortably in hand. A rubber grip pad is provided for improved control. The included stainless steel S-biner is a double gated carabiner which provides an easy way to attach the Microlight STS to almost any convenient ring, loop, or strap. The S-biner can be removed if desired. 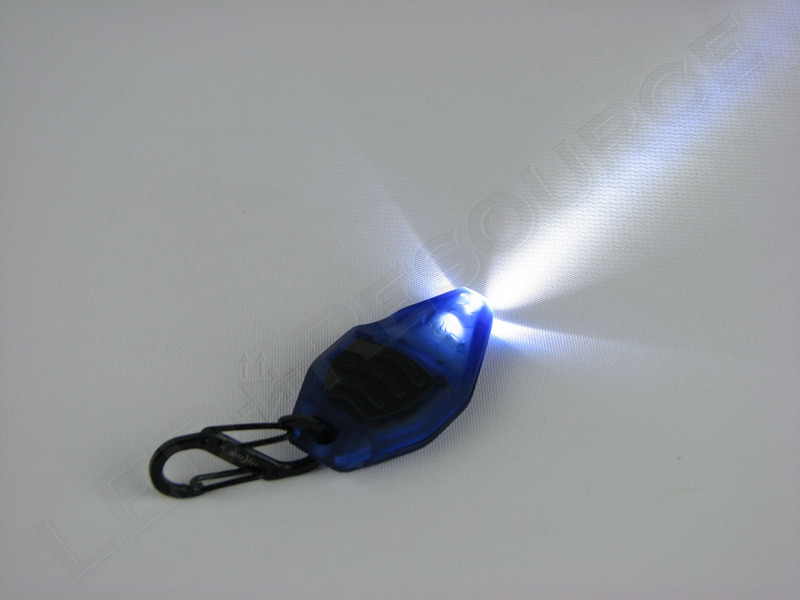 While most miniature flashlights are activated by squeezing the light or pressing a button, the Microlight STS adds a new twist with its Swipe-To-Shine technology. 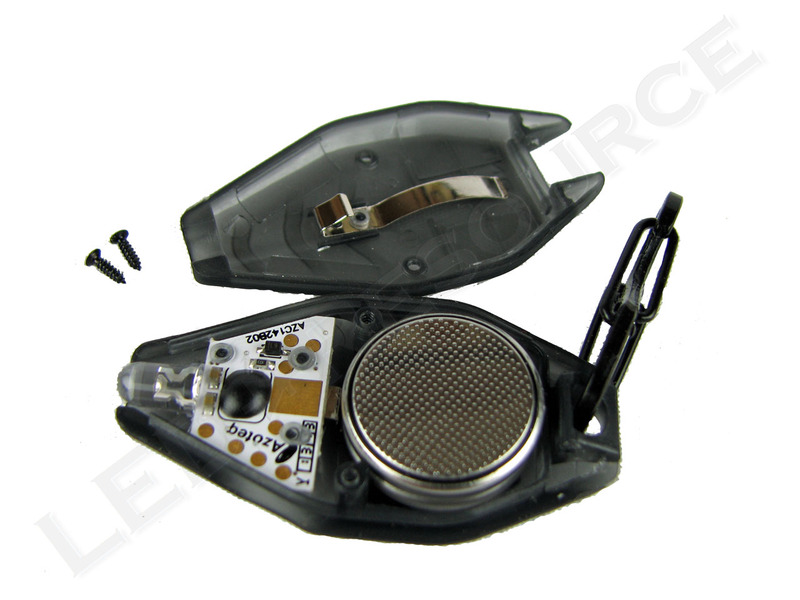 By utilizing two electrodes housed within the body, capacitive sensing allows the STS to be activated with a swipe of the thumb or a finger. 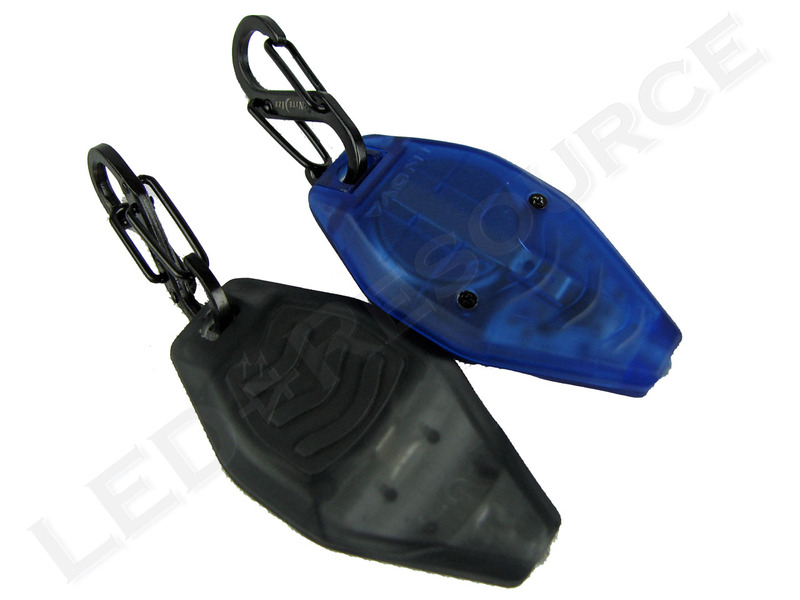 With the Microlight STS held so that it is pointing away from the user, swiping from right to left will turn the light on, with additional swipes advancing through the various modes. The STS may be turned off by swiping in the opposite direction at any time, or if the light has been on for at least three seconds, by swiping right to left again. Output modes are selected in the following sequence: OFF – HIGH – LOW – STROBE – OFF. 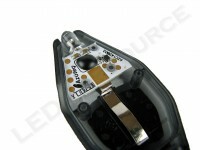 In addition, a variable dimming mode is accessible from the HIGH mode only. An auto shut-off feature turns the STS off after 4 minutes when used in high or variable dimming mode with a warning flash provided 15 seconds before the light shuts off. When first turned on with a right to left swipe, the STS will always start in high mode. After entering high mode, immediately pressing and holding the thumb anywhere on the swipe pad will activate the variable dimming mode. 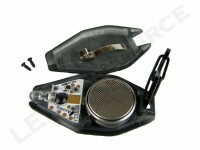 As long as the thumb is held in place, output will decrease in programmed steps until it reaches the low output level. After activating high mode, a second swipe within 2 seconds will place the STS in low mode. After activating low mode, an additional swipe will activate a slow strobe mode at full output. 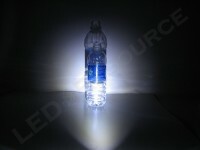 In high mode the Microlight STS is rated at 16 lumens of output. Although it lacks a reflector, the 5mm LED provides a bright center beam, easily reaching 20 feet, as well as a wide spill beam. 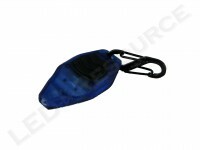 The Microlight STS is one of the few lights in its class to be tested by the manufacturer according to the ANSI FL1 standard for runtime, achieving 9 hours in high mode and 64 hours in low mode. As there is no way to disable the auto-off feature when in high mode, runtime was not tested as part of this review. 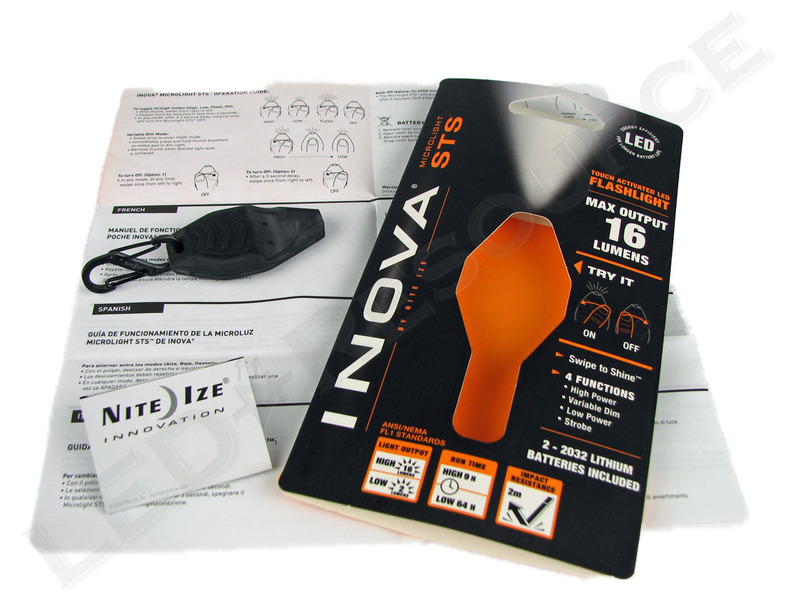 The INOVA Microlight STS is affordable, compact, and easy to operate, yet it has the power and features to be a very useful light. By providing multiple output levels and variable dimming, the STS allows the user to select just the right amount of light needed for the task. The inclusion of the S-biner is a nice touch, allowing the Microlight STS to be easily secured wherever it would be most convenient. After a little practice, the Swipe To Shine switching mechanism works well when used with bare hands, but can be problematic for users wearing gloves.